Rockman Corner: So, How Much Will Rockman 9 Cost? The reason why this game is 10 dollars is because its a newly made Mega Man game that cost money to make even if it didn't cost uber amount like a retail game. The 5 dollar NES games already made their money back in the day and are just simple rom dumps that don't cost that much to put on the Wii VC service. However Rockman/Mega Man 9 didn't make its own money yet so thats why its going to be at least 10 dollars. 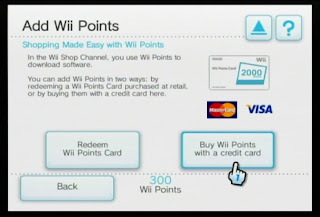 I was willing to pay up to 2000 points for it so to me 1000 points seems like a bargain! 500 points is way too low since a new NES game shouldn't be the same price as old NES games. That's an awesome price! A full retail MM9 game (if it weren't 8-bit) would likely charge $50! $10 is awesome! I expected something like 1,500 points. Some people may complain but I'd gladly pay $10 for a new NES style Mega Man game.